The holidays can bring back painful memories to those who have been abused in childhood. 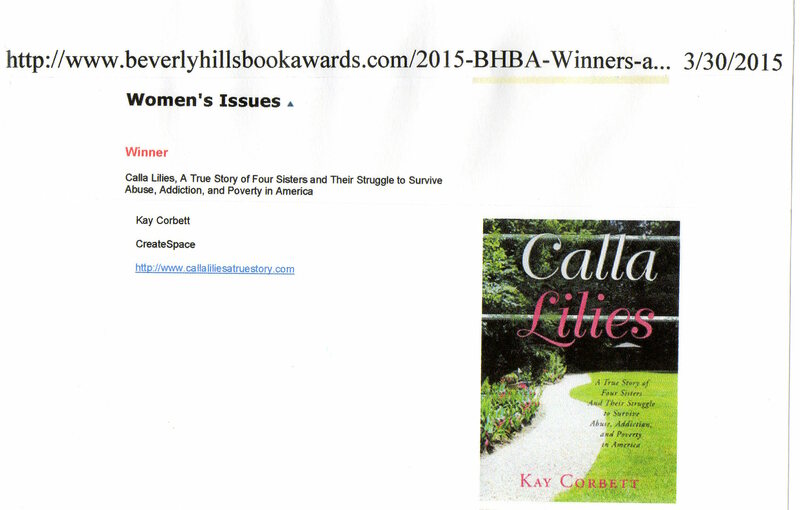 Cynthia says in Calla Lilies: A True Story of Four Sisters and Their Struggle to Survive Abuse, Addiction, and Poverty in America, “The way I see it, I remember Christmases, but I don’t really want to remember them because they were never goods times.” Realizing this, I have always tried to provide a big Christmas for them. They each seem to equate love with someone giving them presents. I think it makes them feel that someone cares enough about them to spend their money on them. But foster care memories are difficult and Christmas can bring back the isolation and loneliness they felt at such times. Sometimes Christmas can be upsetting–especially if someone breaks into your trailer and steals your new Christmas presents. One Christmas Teresa’s trailer is broken into and her TV and brand new VCR are stolen. And lastly, Christmas is really depressing if you happen to be in jail or prison. Telephone calls are so expensive and visits can be few and far between. Sometimes the Calla Lilies are in jail for the most ridiculous reasons–not being able to pay a fine or not having the money to go to a required class. And then they can be in there just because of a public intoxication or driving without a license. Teresa was on probation and got arrested for a public intoxication after her boyfriend’s company Christmas party. This violated her probation and she was sent to jail for 10 months–TEN MONTHS! Do we really need to send people to jail for such minor infractions?? ?